The first story concentrates on the Doctor’s battle with Romans from another universe who have broken through to our own. The second is on a small cuddly creature called “Meep” who is seeking shelter from a seemly evil race of villains intent on his destruction, but is all as it seems? Both are really engaging and imaginative stories. I love the whacky feeling you get from these stories that were once comic strips. It really gives it the urgency that a comic strip needs to keep you coming back next week for the next part. It also fits the Forth Doctor (Tom Baker) character to have a larger than life couple of settings and scripts. Alan Barnes in the extras reveals his love of these stories, especially the first “The Iron Legion” which he simply had to be part of adapting as a fan since it was first written. The love shows in this set. It’s also a nice pairing of stories. Where Iron Legion takes us to another universe, “The Star Beast” has two school children caught up in protecting one little cute creature (it just happens if they get it wrong the Earth could be destroyed in the process). 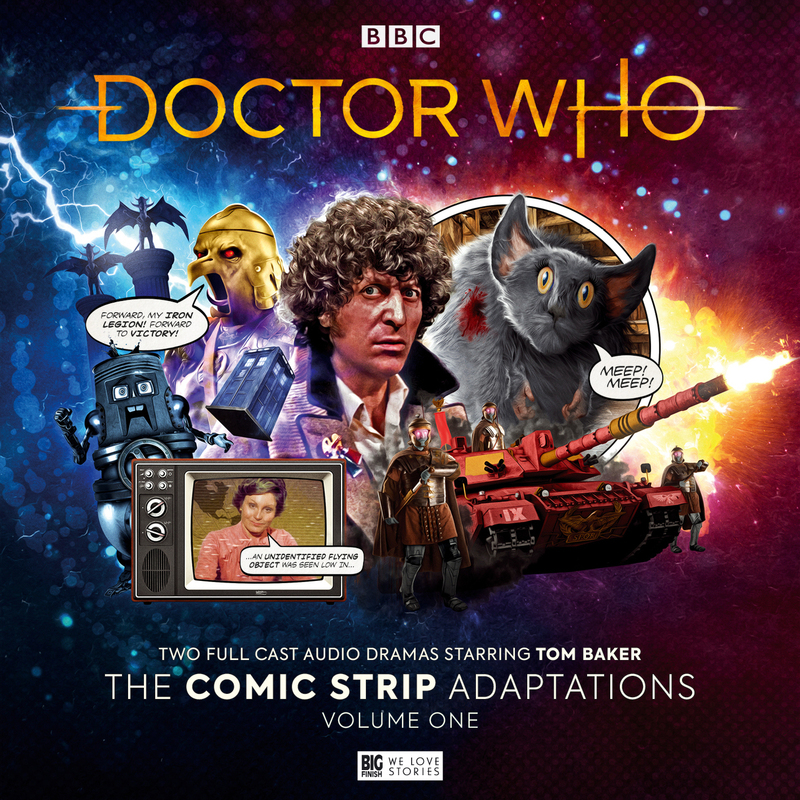 I can only imagine the glee the original writers of the strips Pat Mills and John Wagner must feel at seeing their work become an audio drama with an amazing cast. For me a real highlight is when they have Angela Rippon actually reading the news. So wonderful to have an actually news reader from my childhood playing the news reader in the story. As well as bringing out the best of the era the stories were written in (which gives a nice authentic feel) they have added some fun updated references to the stories, making a nice blend.